Need that extra boost to get motivated? Want to build your confidence in the gym? Or are you looking to reach your goals 80% faster? Consider working with a professional personal trainer. Our Exercise Specialists are certified professionals with a wealth of experience in helping individuals reach their goals. *Sessions can be scheduled at 1/2 hour intervals. Taxes not included in pricing above. All personal training packages expire within 1 year of purchase. Do you have a group of friends and want to split the cost of a Personal Fitness class? We can create programs for all levels and goals. Whether you golf together, run together or drink tea together we can develop a program for you. 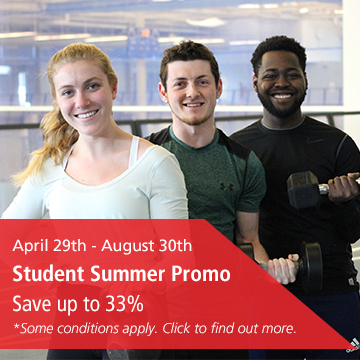 Contact the Fitness Coordinator at 902.490.2249 to arrange.